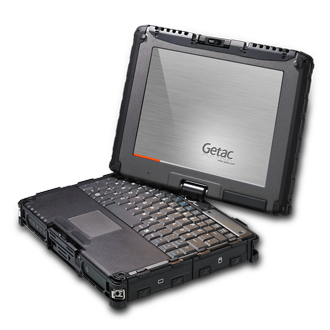 The Getac V100 Fully Rugged Notebook transforms with one quick rotation to a Rugged Tablet PC. Designed with the real-world in mind, the V100 is equipped with multi-touch solution for professions without taking off the gloves under critical environments. 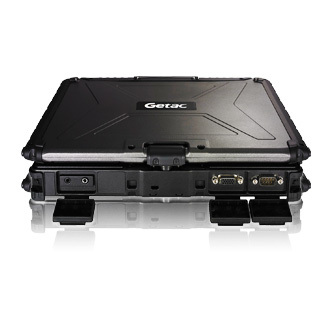 Getac V100 is both MIL-STD-810G certified and IP65 certified, composing a magnesium alloy case, a shock-protected HDD, vibration and drop resistance, and sealed I/O caps and doors to prevent damage from solid particles and moisture. With an Ultra Low Voltage Intel® Core™ i7 vPro™ Processor, the V100 boasts a quiet fan-less design and the power you need for various sophisticated applications. 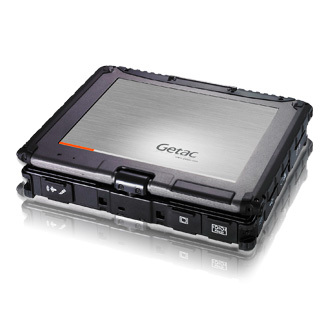 The V100 features a 10.4” LCD display. A full-sized 83-key keyboard is included with an option to upgrade to a backlit rubber keyboard. 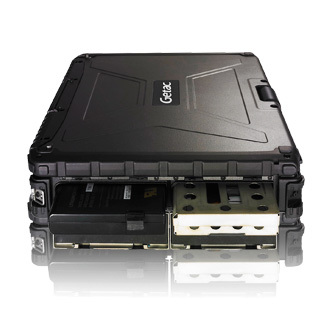 The V100 is great for field applications by it’s integrated 2M pixels webcam and GPS receiver. 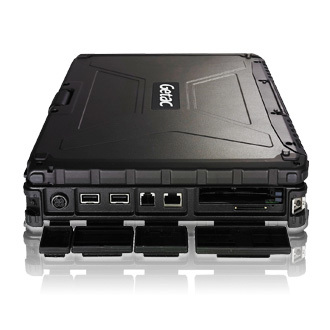 The V100 provides comprehensive connectivity options including Bluetooth, WLAN and WWAN, and the advanced TPM security to safeguard important data.